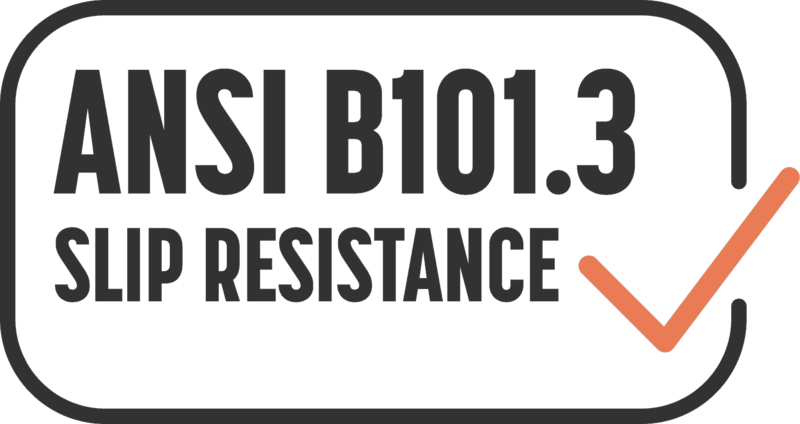 Concrete Protector SB is a solvent-based, penetrating, reactive treatment that provides water, oil and stain repellency for every kind of finished concrete floor. It improves stain resistance and simplifies maintenance cleaning of interior and exterior, horizontal and vertical concrete surfaces. 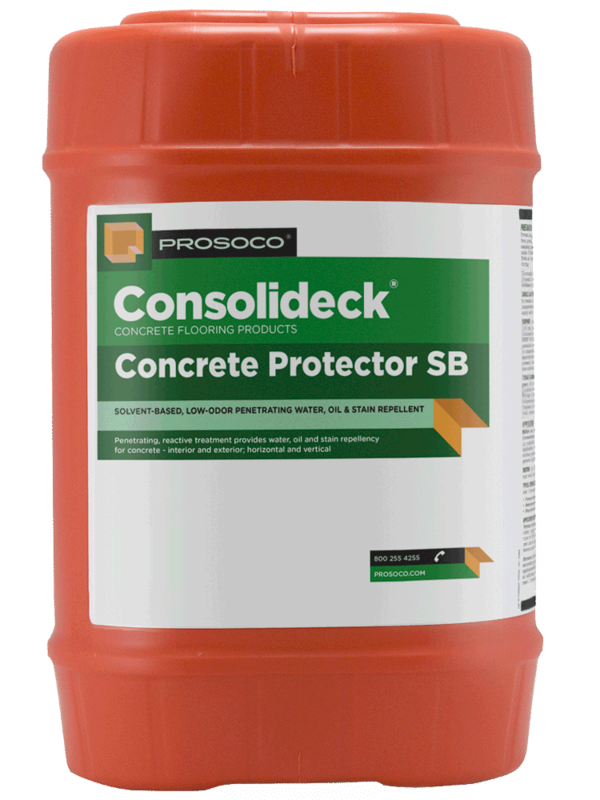 Concrete Protector SB is low-odor and VOC-compliant. Treated surfaces retain their natural texture and breathability. Appropriate for application to any cured concrete, from steel troweled to highly polished. 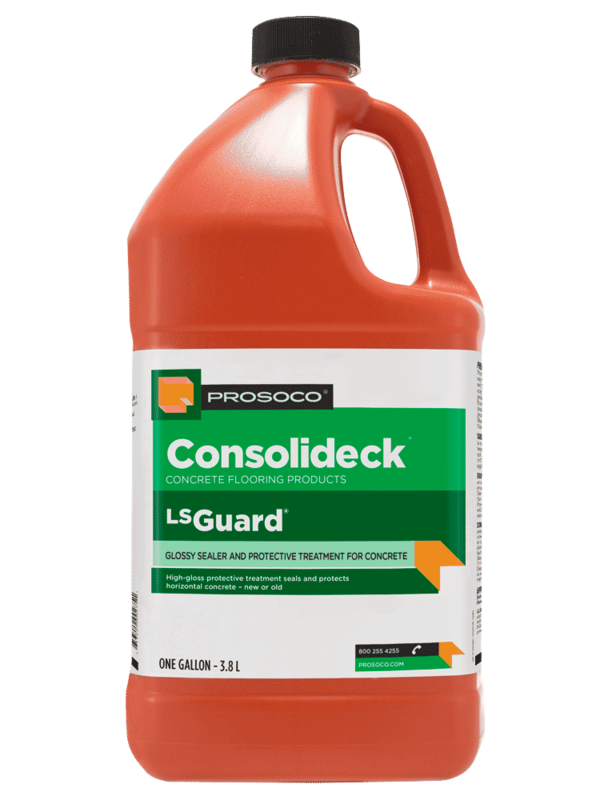 Works on floors previously treated with Consolideck LS, LS/CS, Blended Densifier, LSGuard or PolishGuard. COVERAGE RATE1500-5000 sq ft/gal. See Product Data Sheet for specific coverage rates. Consolideck® Concrete Protector SB is a penetrating, reactive treatment that provides water, oil and stain repellency for every kind of finished concrete floor. 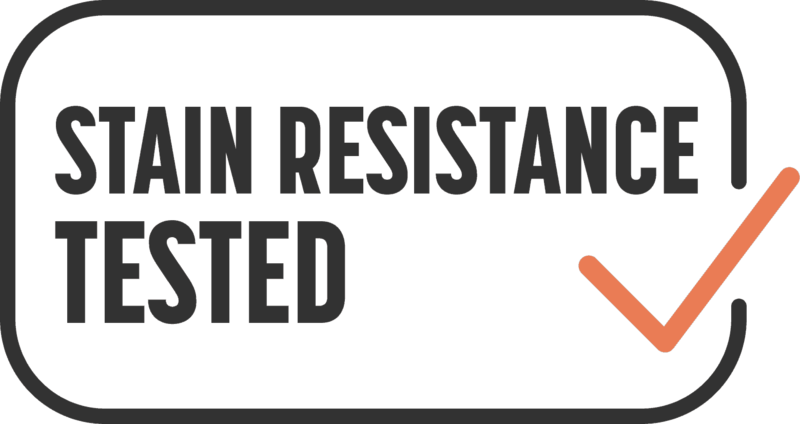 Treated surfaces retain their natural texture and breathability. Concrete Protector SB improves stain resistance and simplifies maintenance cleaning of interior and exterior, horizontal and vertical concrete surfaces. 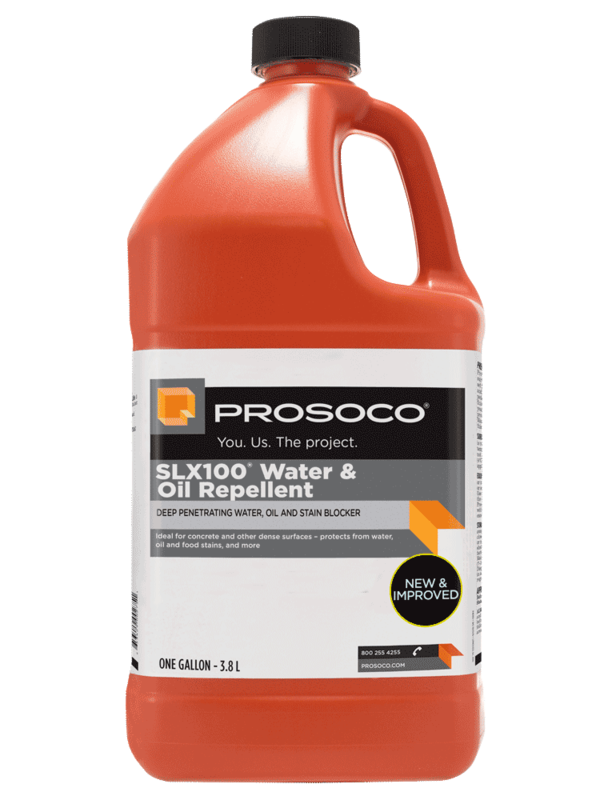 Solvent-based and low-odor, this VOC compliant protective treatment is easily applied with pump-up sprayers.